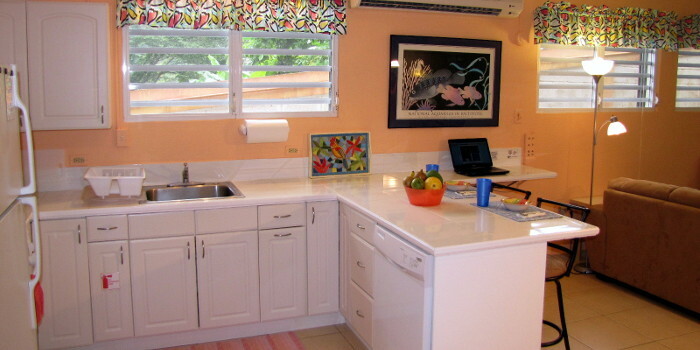 Coqui's Hideaway features a "real" Kitchen, with full-sized appliances (refrigerator, dishwasher, microwave and range). 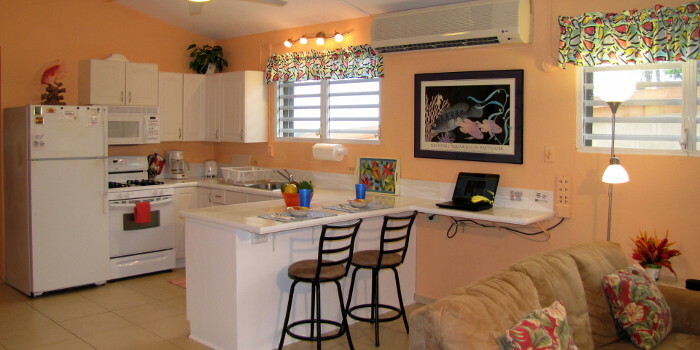 You'll also find all the dishes, cookware, bakeware, small appliances (toaster, coffee maker, blender) and utensils you'll need to whip up a gourmet meal … or to serve that take-out you picked up on your way home from the beach. 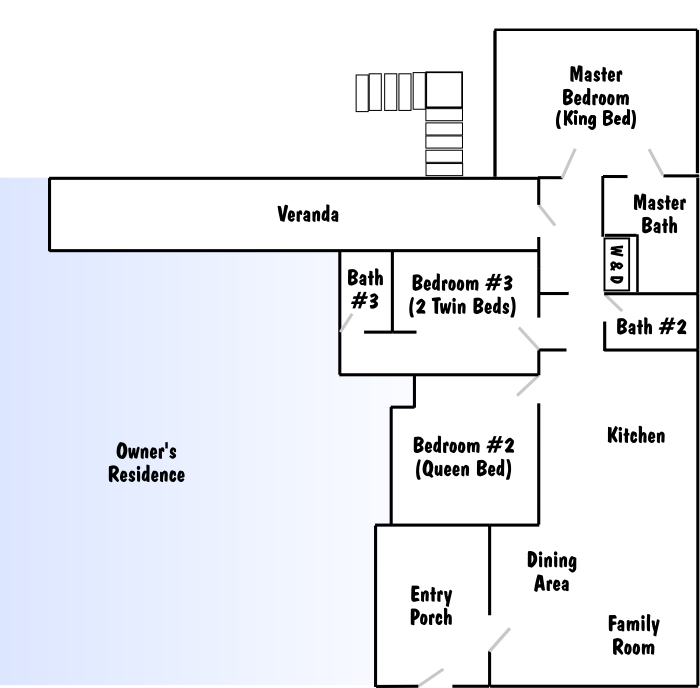 There's plenty of space at the over-sized kitchen counter for your meal preparation. 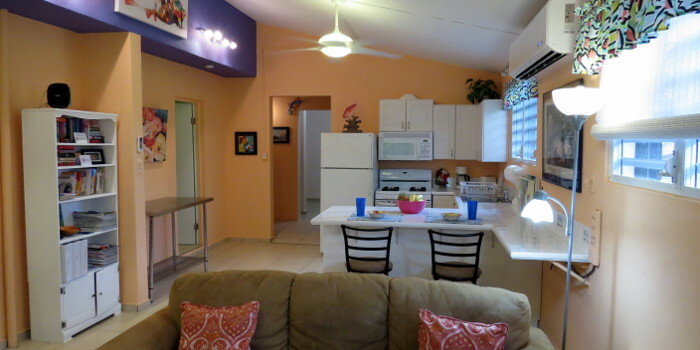 There's even room to pull up a couple bar stools for a quick meal, or to hang out while you're cooking. To help you keep your cool, there's AC and a ceiling fan.